Two mosquito samples one Culex pipiens-restuans and one Culex salinarius collected September 21, 2016, from Aquebogue, have tested positive for West Nile virus. Culex and Asian Tiger Mosquitoes are presently active. Aquebogue, NY - October 4, 2016 - Suffolk County Health Commissioner Dr. James L. Tomarken announced today that two mosquito samples one Culex pipiens-restuans and one Culex salinarius collected September 21, 2016, from Aquebogue, have tested positive for West Nile virus. To date this year, 140 mosquito samples, 15 birds and one horse have tested positive for West Nile virus. Horse owners are reminded to vaccinate their horses for West Nile virus and Eastern Equine Encephalitis (EEE) virus. Three humans have tested positive for the virus in Suffolk County this year. Residents are advised to continue to take precautions, as surveillance indicates that the both Culex pipiens-restuans and Asian Tiger Mosquitoes (Aedes albopictus), are presently active in Suffolk County. 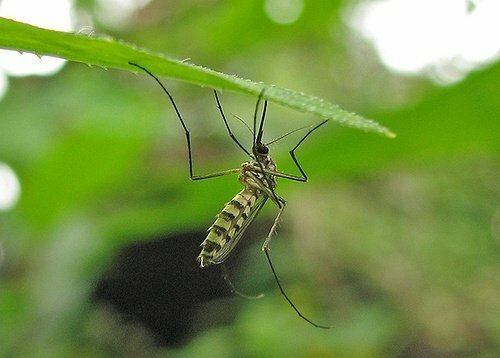 Asian Tiger mosquitoes are small mosquitoes with black and white stripes that are known to bite aggressively near your feet and ankles during the day. “We recommend that residents take three actions to avoid being bitten by mosquitoes,” said Dr. Tomarken. Consider using dunks, treating yards with barrier type sprays containing permethrin as the active ingredient, or hiring licensed pesticide applicators. If these actions don’t help, residents may contact the Department of Public Works’ Vector Control Division at 631-852-4270 or via the web to request a vector control crew to check the area. “Adult spraying for Asian Tiger mosquitoes isn’t very effective as it reduces their numbers for only a few days before new mosquitoes emerge from larvae that has been thriving in containers,” said Tom Iwanejko, chief of vector control. “This is why it is so important to dump the water on a regular weekly basis and scrub any eggs on the inside of the container! Change the water in birdbaths and scrub the containers. Drain water from pool covers and scrub the covers. Video: Scott Campbell, PhD, shows home owners many of the places in your back yard where mosquitoes breed. Subject: LongIsland.com - Your Name sent you Article details of "Two Mosquito Samples Test Positive for West Nile Virus"